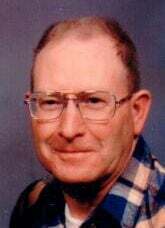 Roger Rasmussen, Sr. 76, of Nora Springs, passed away on Friday, March 15, 2019 at MercyOne North Iowa Hospice in Mason City, Iowa. Roger Allen Rasmussen was born March 27, 1942 to Martin Sven Rasmussen Sr. and Winifred (Tisor) Rasmussen. On June 24, 1961, he married Leona Patricia Sloan in McIntire, Iowa. He served in the United States Army from September of 1960 to September of 1963. He worked in multiple occupations as a construction laborer, boiler engineer, car wash manager, manufacturing manager and a maintenance worker for Stoyles Graphic. He was a member of the Catholic Church and enjoyed Veterans' Administration get-togethers. He also enjoyed raising puppies, cutting wood for his wood-burning stove, gardening, and mowing his large lawn. Roger is survived by his wife Leona Rasmussen; sons Roger Rasmussen Jr. and Kenneth Rasmussen; daughters Sherry Rasmussen Struchen (Rick) and Annette Rasmussen Cobeen (Daniel); sister Darlene Summer; grandchildren Joshua, Bryan, Reba Struchen, Jessica, Jenna, Jayme Cobeen; Dillen and Devin Rasmussen; great-grandchildren Marvel and Lyric Imhoff; and many nieces and nephews. He was preceded in death by his parents Martin Rasmussen Sr. and Winifred Rasmussen; stepfather Clarence Clausen; brothers Richard Rasmussen, Archie Rasmussen and Martin; sister Mary; and half-sisters Vi, Anne, and Alice. A memorial fund has been established for MercyOne Hospice of North Iowa with a special thank you to all the doctors and staff of MercyOne of Mason City. We so much appreciate your caring for Roger during his stay there. the life of: Roger Rasmussen, Sr.